Here's the easy answer. Eat more fish. In fact, eat more fatty fish such as salmon, trout, mackerel and herring. These types of fish are naturally very high in healthy omega-3s and are one of the best ways to increase your omega-3s which helps to keep your body healthy. If you like fish, you're just one step away from getting more in your diet. The recommended intake of fish varies around the world, but the Dietary Guidelines for Americans, 2010 (DGA) recommends to eat 8 oz (225g) of seafood a week, which provides enough omega-3 to meet the recommended amount of 250mg EPA and DHA, which is generally recognised to be the minimum the body needs. However, in general the western diet is becoming more and more of a mainstream lifestyle across the globe and is not famous for including much fish. In fact, many people do not eat any fish at all or less than once a week. This presents a major challenge for those looking to get more omega-3s in their diet without consuming fish. In order to get the right type of omega-3, specifically EPA and DHA, you need to make sure your supplement comes from the right source. Fish oil is the most common form of getting EPA and DHA, however supplements vary widely on quality and quantity in content. Be sure to do your research! 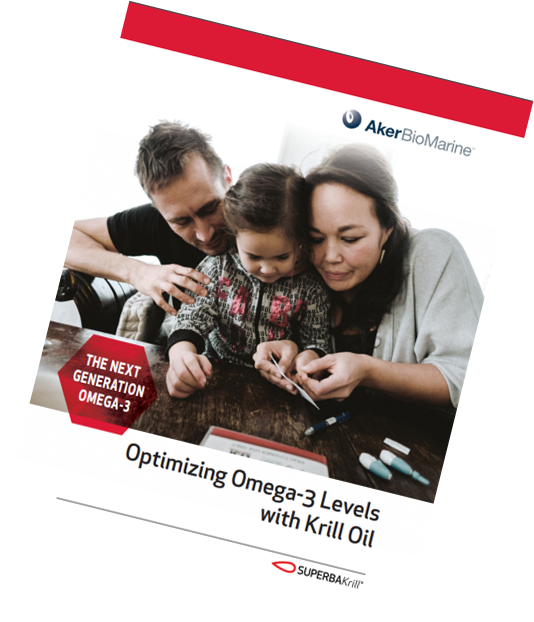 Krill oil is also a popular way of getting omega-3s, due to its efficient natural structure which aids in raising omega-3 levels in the body. Krill oil is unique among omega-3 supplements as it contain other nutrients that help the body perform and stay healthy. Read more about how krill oil supports heart health. 3. Help, I am a vegetarian! As a vegetarian or vegan, it is vital to make sure that you make sure you are choosing an EPA and DHA based omega-3 supplement. The only option that is widely available is an algae based omega-3 supplement. These supplements are usually high quality and a great alternative if you don't want to consume animal products. 4. What about omega-3s from plant sources? There are omega-3s contained in nuts and seeds such as walnuts and chia seeds, however they do not contain the types of omega-3 that our body actually needs. EPA and DHA are essential omega-3s and are found in marine sources, whereas the type found in plants are ALA.
ALA omega-3s need to be converted into EPA and DHA in the body before it can be used. Unfortunately, this conversion rate is very low and the majority is not converted. This is why the majority of the research on omega-3s health benefits are conducted on marine based EPA and DHA. Getting enough omega-3s can be easy, but many people struggle to get it into their daily or weekly routine. Supplementing for EPA and DHA is a great solution to ensure you are getting enough omega-3s but doing your homework is important to getting it right! Did you know you can test your omega-3 levels? Download our omega-3 infographic to find out what levels are like around the world!